The Huawei Mate 10 is a flaggship-phablet from Huawei. Wit the latest Kirin 970 Octa Core Prozessor, a special AI Chip, a 5.9 Inch 2K Display with 2560 x 1440 Pixel, 6GB RAM, 128GB ROM (expandable with micro-SD-Card), Dual SIM, 20MP + 12MP Dual Camera from Leica, Fingerprintreader, 4000mAh Battery, Emui 8 with Android 8 and all LTE frequencies. In Asia, Huawei has long prevailed as a premium manufacturer in the smartphone sector. In Europe, the Chinese manufacturer has also arrived in the minds of customers at least since the release of Huawei P10. 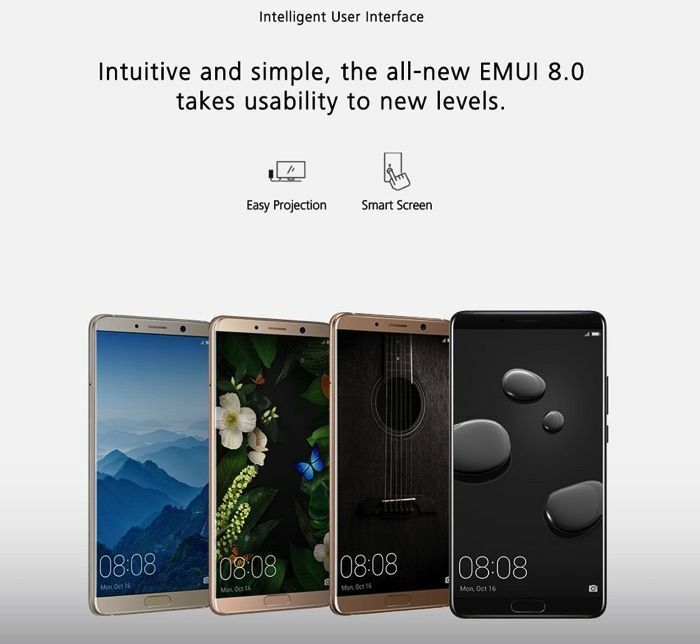 With the successor of the popular Mate 9, Huawei now wants to finally fight its place among the top brands and has given the equipment and the outstanding workmanship of the aluminum uni-body the best chances to do so. 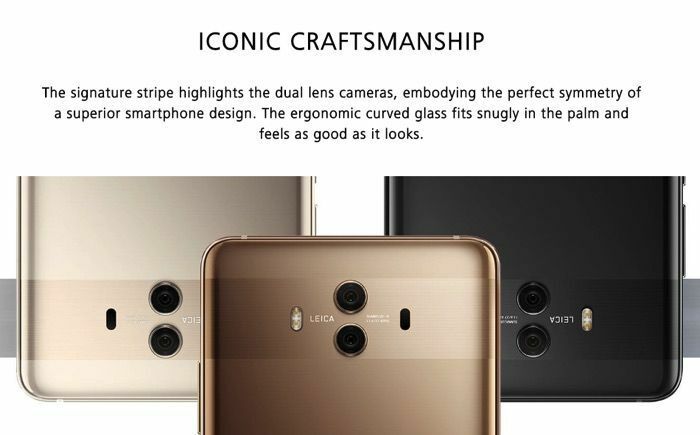 The new flagship is convincing in all areas: Top workmanship, fastest hardware, high-quality camera and unrestricted LTE support including band 20. The Mate 10 belongs to the absolute 2017 top recommendations and can keep up in all respects with other top models such as the Apple iPhone 8, HTC U11, Pixel 2 and Samsung Galaxy S8 and Samsung's Galaxy Note 8. Start your own test and order now at TradingShenzhen! 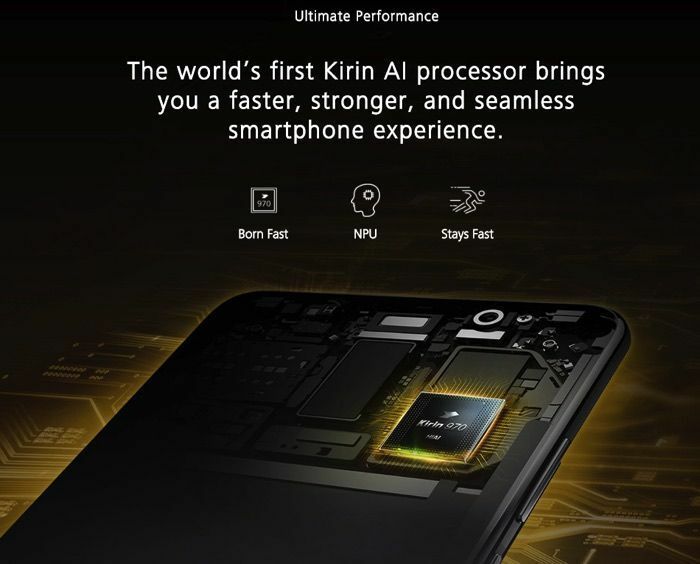 The Chinese manufacturer was one of the first to install the pioneering and lightning-fast Hisilicon Kirin 970 i7 AI co-processor. The Octa Core CPU clocks with up to 2.36 GHz and is well equipped for future generations of apps in view of computing power. As it is for an Android device of the current generation, the RAM with 6GB is also very generously sized and offers high power reserves. Of course, Huawei's Mate 10 does not give up on graphics performance either. The Mali-G72 MP12 is one of the fastest GPUs of our time has been installed. High End is also offered on the display of the Mate 10. With a size of 5.9 inches, the Mate10 is not a small device. The borderless design, however, does not catch on at first glance. 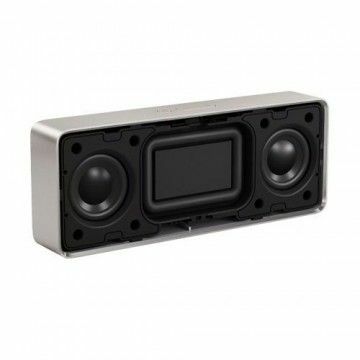 It also enables compact dimensions of 154.4 x 74.6 mm. 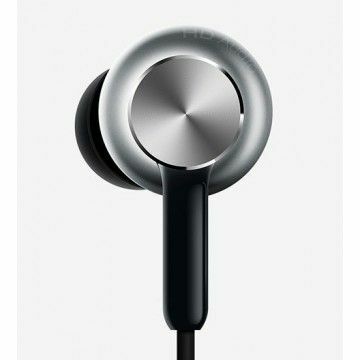 With a thickness of 7.9 mm, the device is also very comfortable to handle. The weight as well is very moderate in view of the features of the smartphone. 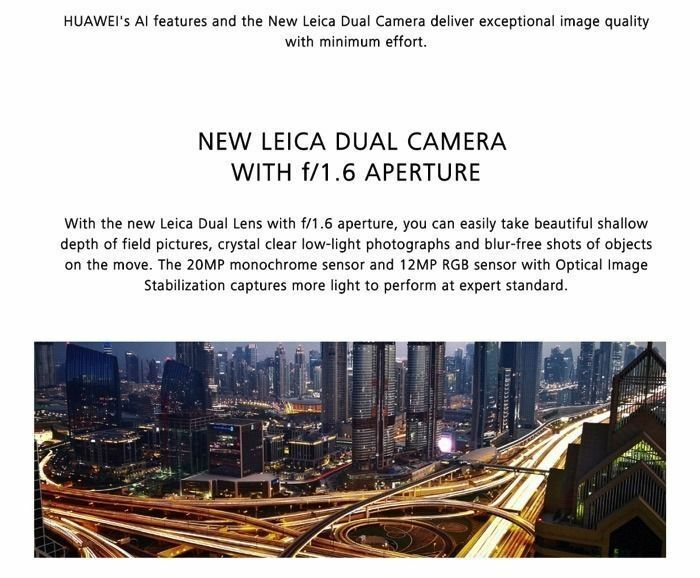 Around 174 grams brings the Huawei flagship on the scale. 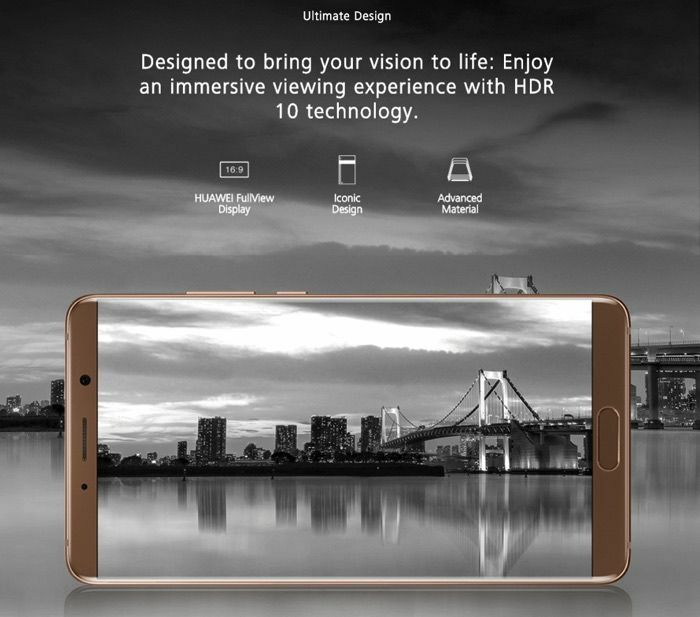 Huawei Mate 10 follows the current trend in the display: Full HD screens are out! Therefore, the Huawei Mate 10 offers a powerful OLED display. With a resolution of up to 2560 x 1440 pixels, you can look forward to crisp digital content. Despite its size of 5.9 inches, even filigree details are always clearly recognizable. Also impressive is the high contrast and color strength of the OLED. With a brightness of up to 639 cd / m², reading the Whatsapp messages is not difficult even in direct sunlight. A real highlight of the Mate 10 is the desktop mode. 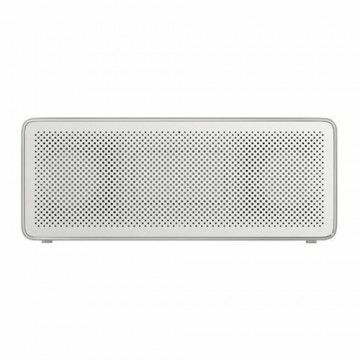 This allows a connection of a large screen via USB-C. Once set up, you can enjoy complex office tasks or multimedia applications such as movies or TV series on the big screen. And best of all: no special drivers or programs are needed! 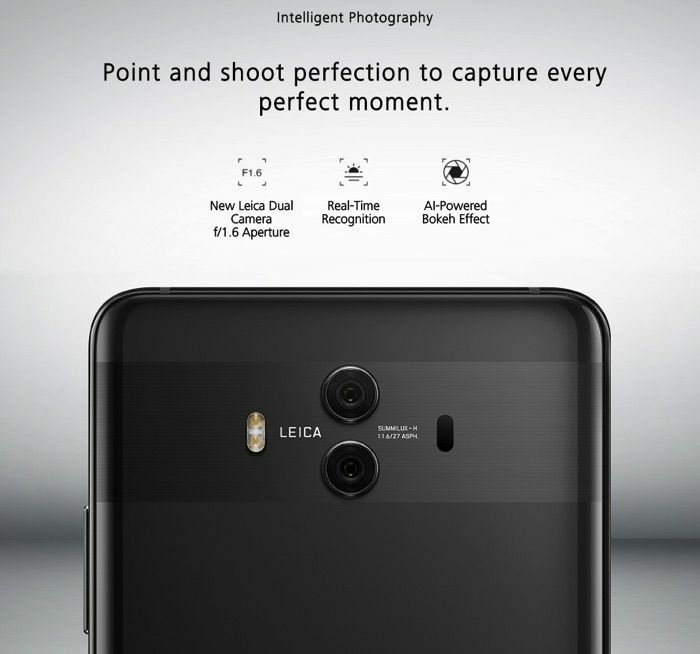 Like the P10, Huawei gave the Mate 10 a camera with Leica branding. This is not just a touch or a simple marketing gag. The main camera is a dual cam, which works with a resolution of 20 megapixels MONO and 12 megapixels in RGB mode. The F/1.6 aperture captures enough light, even if the recording environment is darker. If the light is insufficient, the integrated LED flash provides the necessary background lighting. With the dual camera of the Mate 10, numerous photo effects such as bokeh are possible, which were previously reserved for SLR cameras. Also a zoom with a very high level of detail is made possible. Away from the main camera, the Mate 10 also offers a high-resolution front camera. With its F/2.0 aperture and a resolution of 8 megapixels, it is possible to record very high-quality selfies. Even video call with the loved ones in HD quality are easily possible. The Huawei Mate 10 has a 128 GB ROM which allows you to take pictures without worrying glances at the internal memory and as well make high-quality videos. The remaining features can also be described as extensive. 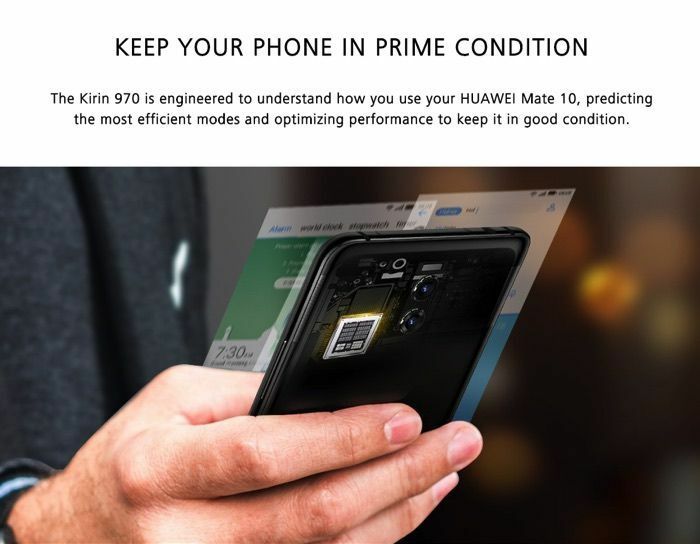 Mate 10 can be used as a private and business mobile phone. The dual sim slot allows the management of two different phone numbers. If you do not insert a second Sim card, you can use the slot as a memory extension. A fingerprint sensor is also available and allows you to quickly unlock the device without entering a code. The current EMUI 8 is used as the operating system. The OS is based on Android 8.0 Oreo. The Huawei Mate 10 supports all mobile data frequency bands used in Germany and Europe. From 2G to 4G LTE FDD standard, the smartphone supports all the necessary frequencies to enable rapid data exchange. The band 20 needed for rural areas is also supported. WLAN networks can also be used in high speed. The WLAN standards 802.11 b, g, n and ac as well as the frequency bandwidths of 2.4 and 5 GHz are supported. Smartwatches and other gadgets can be connected to the smartphone via Bluetooth 4.2. The location of the device is possible via GPS - GLONASS, A-GPS, BDS and GALILEO. Of course, an NFC chip has also been installed. The power supply for the mate 10 is ensured by an integrated lithium-ion battery. 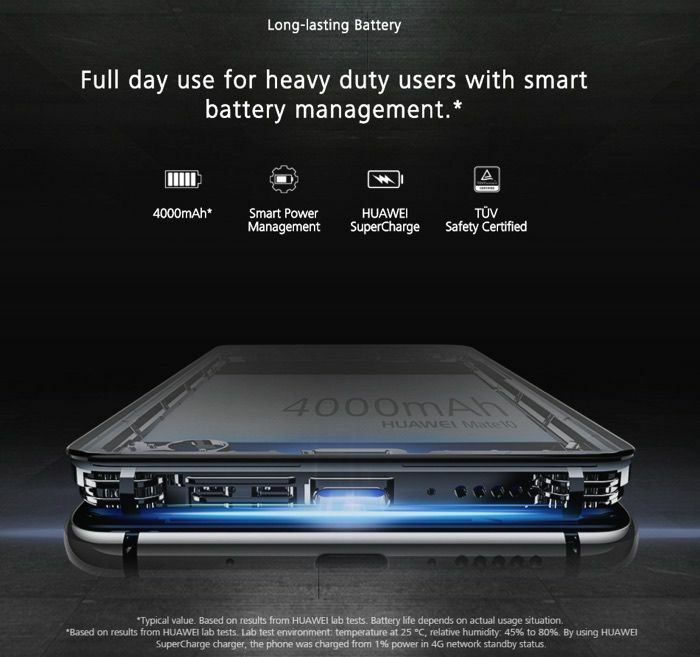 With a capacity of 4000 mAh, the Mate 10 can easily last a full day or longer even before it has to be recharged, even during intensive use. With the Quick Charge function, this process does not take much time. After only about two hours, the battery is fully charged. In addition to the Mate 10, Huawei has included the usual accessories. 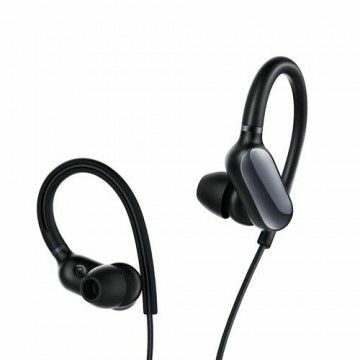 The supplied data cable can also be used to recharge the mobile phone. This is done via a modern USB-C interface. The phone does not have a jack connector. However, there is a USB-C to jack adapter included, with which wired headphones can be easily connected. Of course, there is also an EU plug for local sockets. 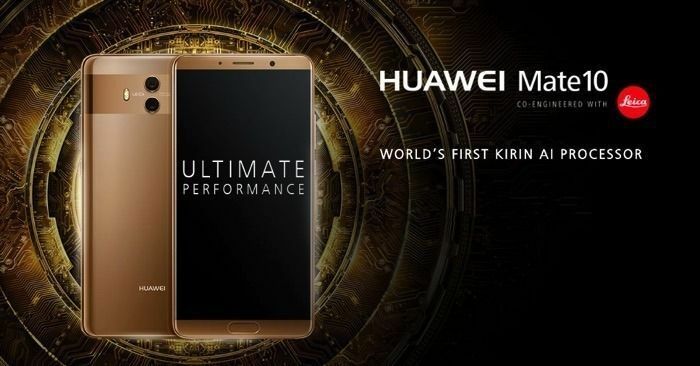 Notify me when the Huawei Mate 10 - 6GB/128GB - Kirin 970 - 2K Display - ALP-L29 drops in price.